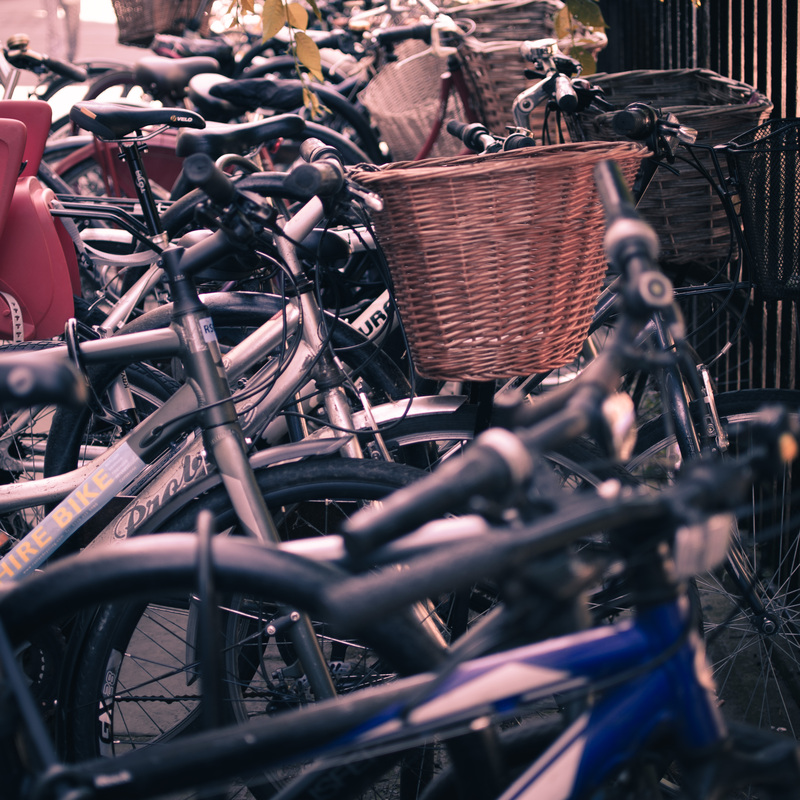 Bicycles – Cambridge has lots of them. Lots. These are just a few. 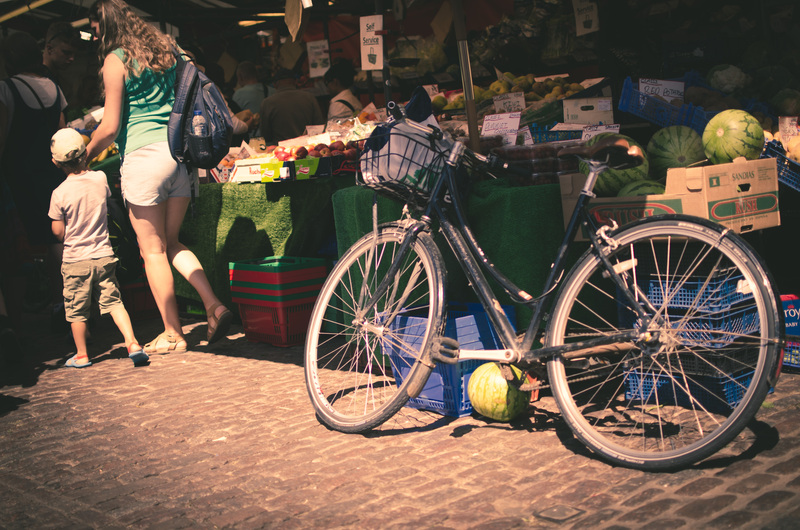 Another bicycle and a market. Not bicycles, but punts. 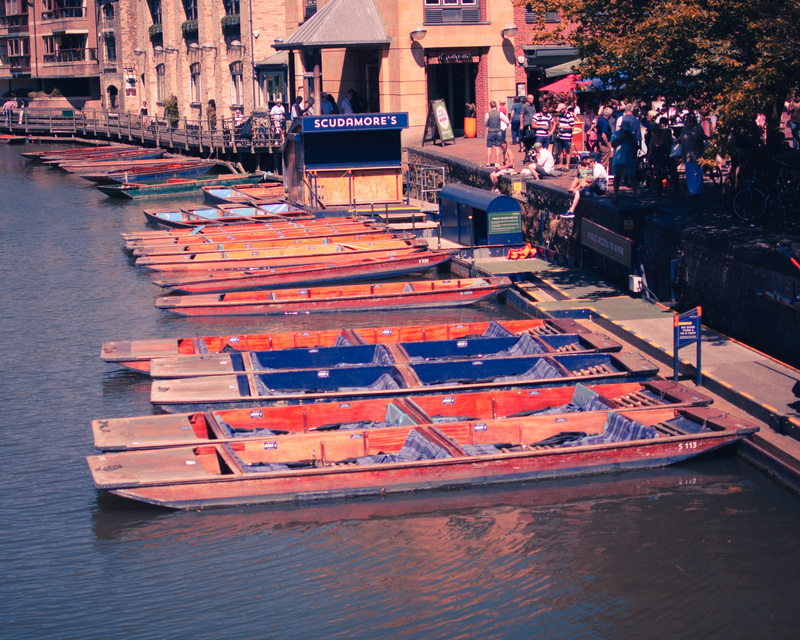 Cambridge also has a lot of punts.